Whether Chinese chow mein or Vietnamese pho, noodles are dishes that the entire world holds close to their culinary heart. Here in South Dakota, locals can have a bite at one of these delicious noodle spots throughout the state! At Mongolian Grill, noodles are the name of the game. Customers can pile their noodles with everything from fresh veggies to meat to seafood and a wide array of sauces. Then, the chefs cook it right in front of you! This delicious and authentic stir fry is perfect for either lunch and dinner and has something for everyone, even on vegetarian and other diets. In addition, the price is very reasonable for the huge portions of noodles. Z’Mariks is another Rapid City eatery that is devoted to all things noodles. This cafe specializes in everything from mac and cheese to pesto to made-to-order options and even more unique options like buffalo chicken mac and Asian spicy peanut. Other dishes are available including rice, soup, and salad bowls. For made-to-order dishes, there are plenty of options to add including an assortment of veggies, cheese, sauce, grilled chicken, shrimp, bacon, meatballs, tofu, and more. Tokyo Japanese Cuisine has so many mouthwatering noodle-based meals that it’s hard to choose just one! Try some of the local favorites like udon soup with either shrimp tempura, chicken tempura, or beef; pork chop or shrimp tempura cool soba; or fried udon with either seafood, chicken, eel, or mixed vegetables. They also have plenty of other options like sushi, soup, salad, tempura, fish, fried rolls, and more, so everyone in your party can find something that they’ll love! Specializing in Hunan, Szechuan, and Cantonese cuisine, Szechuan Chinese Restaurant is the best place in Sioux Falls to get authentic Chinese dishes. The menu features favorites like soups, appetizers, chef’s specials, chicken, pork, beef and lamb, seafood, and fried rice, but their best dishes are the noodle meals! Make sure to try the lo mein (with either chicken, pork, beef, or shrimp), chow mein (with either chicken, pork, beef, or shrimp), chicken imperial lo mein, beef imperial lo mein, shrimp imperial lo mein, pork imperial lo mein, or szechwan imperial lo mein. This family owned and operated restaurant serves up traditional and delicious Cambodian and Chinese cuisine, which includes plenty of noodle dishes! 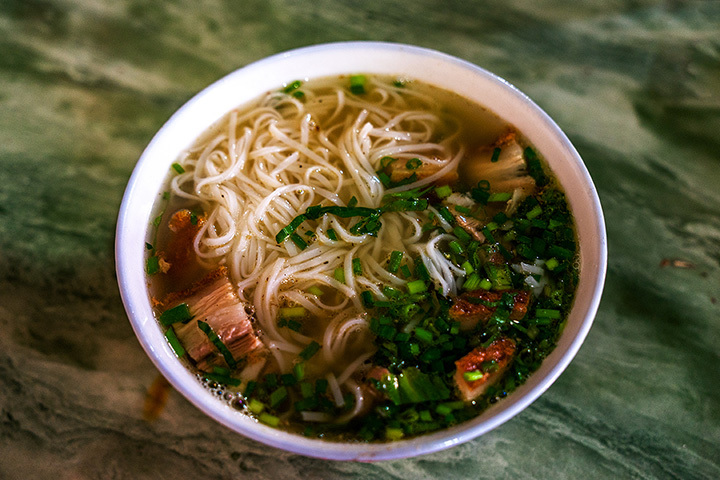 Some local favorites include the chow mein stir fry, Khmer noodle salad, mei gala noodle salad, phnom penh noodle soup, imperial lo mein, pan fried noodles, or stir fried chow fun noodles. If none of those dishes strike your fancy, the menu offers plenty of other tasty Cambodian and Asian fare. Not far from Rapid City, Box Elder’s Baan Thai Restaurant serves up delicious and authentic Thai and Chinese food including many noodle dishes. The menu includes favorites like spring rolls and egg rolls, curries, salads, soup, and desserts, but the tastiest choices are the noodle options like Pad Thai, pad kee mao, baan Thai noodle soup, and more. Offering moderately priced authentic Vietnamese cuisine, Lam’s Vietnamese Restaurant is a can’t-miss culinary experience in Sioux Falls. Their healthy and flavorful dishes are all perfectly prepared so that every customer can find something they’d love. The menu has plenty of tasty dishes, but the best are the noodles. Customers can choose from many options like the vegetarian fried noodles, fried noodles (with either chicken, shrimp, or beef), pork and shrimp noodle soup, crab noodle soup, pork and shrimp egg noodle soup, and seasonal bowls that have portions of vegetables, nuts, meat toppings, and rice vermicelli noodle.